Las Vegas, the desert city synonymous with glamour, glitter, and luxury, attracts travelers from all over the world. Every year thousands of tourists visit the ‘Sin City’ to have their share of fun and pleasure. 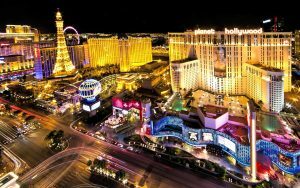 Considered the ultimate destination for parties, nightlife, and gambling, Las Vegas is truly a one of a kind city where people come back over and over again to spend some time filled with the happiest memories of their lives. From glamorous casinos to gourmet restaurants, from jaw-dropping attractions to luxurious hotels, Las Vegas will surely stun you with its beauty. The glorious Las Vegas hotels beside the famous strip add to the lavish experience of a trip to this city. However, all of these luxuries come at a price, at it almost costs a fortune to stay at these luxurious hotels during a trip. However, that doesn’t mean a trip to Las Vegas is enjoyable only for the people with a truckload of money. In fact, there are a lot of mid-range Las Vegas hotels on and around the center of the city which are quite luxurious for a glamorous stay in Las Vegas. These hotels may be a bit less on the grandeur side than the most luxurious hotels, but they for sure do not compromise on comfort. And if you are someone who is looking for a memorable vacation at the city of sins, then here are the top three Las Vegas hotels where you can spend your time indulging all the Vegas-luxuries without breaking the bank. Located right in the heart of Las Vegas, the Holiday Inn Club Vacations at Desert Club Resort is one of the best Las Vegas hotels you can spend your vacation in while you are on a holiday. With its five heated swimming pools, fully stocked game room and even a miniature golf course, it is one of the most luxurious options among the budget Las Vegas hotels. They also offer a complimentary shuttle service to the Las Vegas strip if you stay with them, which is just minutes away. Located at the Las Vegas strip between the City Center and the Bellagio, Jockey Club Suites has no resort fees, outdoor pool, fully stocked gym and luxurious suites which make it a great option among the mid-range Las Vegas hotels. This is an aparthotel having beautifully decorated one and two-bedroom suites for you to spend your vacation in. Located at the most famous part of Las Vegas, Jockey Club Suites makes sure that you get to have the topmost Vegas experience. If you want a much more relaxed vacation a little bit away from the crowd and the busyness of the most happening spots of Las Vegas, Tahiti Village Resort & Spa is one of the best mid-range Las Vegas hotels you can spend your holiday in. This 4-starred resort is situated in front of a lazy river and houses a full-service spa. You can spend your vacation away from the hustle and bustle of Las Vegas while relaxing in the spa, and when you are in the mood for some party, the resort also offers free shuttle services to the Las Vegas Strip. Are you actually thinking of heading off to London for a few days? And that too in the west end part of it? Well then, if that is the case, then you must be searching for the hotels in which you can stay for that period of time. Now if you search in the internet then you will find that are a lot of options to choose from and you will be totally perplexed bout which one to choose and which one not to. And that is the reason why today I am here to help you in order to find the perfect place for you to stay in West End London. 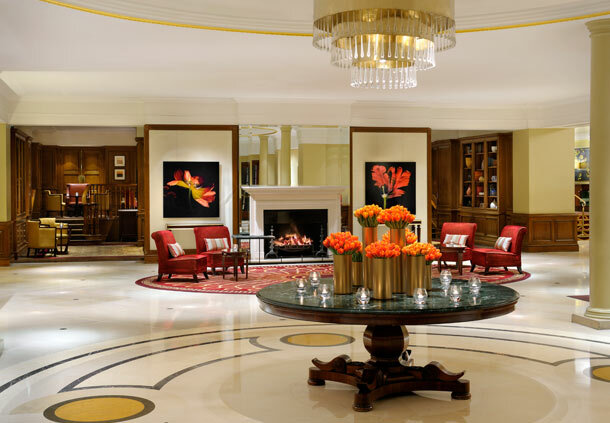 Below the best 5 star hotels in London West End are being listed along with their details. Westbury Mayfair Hotel- This is an amazing place to stay indeed because not only it gives the basic amenities but also provides special privileges. The staffs of this hotel do possess very good behaviour and their warmth will make you stay in that place itself. Also the fact that the prices of rooms are most reasonable makes that hotel quite affordable. So it is no big deal for anyone and everyone to stay in the Westbury Mayfair Hotel. Luxury Hotel Tower Bridge- The exterior view of this hotel is just like its interior view and the beauty of this place is bound to allure you to it. The rooms are decorated beautifully and interior designing has been done to them so that it adds a touch of elegance to the place. Also the rooms are well furnished and all the staffs are very efficient i their work so when you step in to this hotel you can actually rest assured about your well being. This hotel actually promises to make you stay comfortable over there. Hotel West End- Named after the place itself, this hotel is a perfect place to stay if you are here for a business trip as because when you step in it, anywhere inside the hotel you are sure to get free wifi. Now this ensures the fact that you can do all your office work with the help of this wifi only. Now whenever you search the 5 star hotels in London Wet En, be very sure to take down this one as you will be missing a lot if you don’t have your room in this one. In all these hotels that you have read of the food is excellent and in each meal you will get a lot of options so that you can have what suits you the best. Apart from that, every day the house keeping staff will see to it that your room is as good as new. The best part about these hotels is that they are affordable and prior booking can be done to it. So next time you visit West London, don’t forget to check these hotels out along with other London free attractions.